The costs associated with creating content are not as cut-and-dry as they were in the past. Cost is likely one of your first thoughts when exploring the idea of adding content marketing to your businesses marketing arsenal. The upfront cost of content creation isn’t a “one size fit all” price, defined by a word count, or final deliverables. The creation of awesome and intriguing content is just one part of the content marketing process. If you stop there and take a “build it and they will come” approach, you may be setting your business up for a content marketing failure. 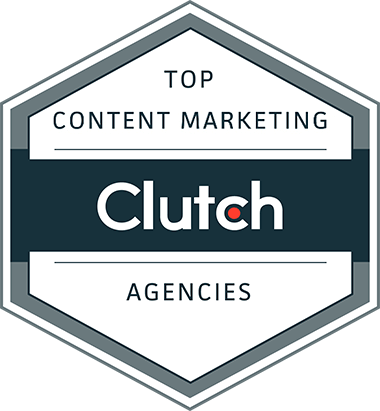 The most important part of content marketing is getting client eyes on your content. The best way to do that is to create unique and authoritative content that breaks through the noise and attract publishers from all across the internet. So how can your content cut through the noise? What does good content look like? This question is subjective in nature, but there is a science behind it. Defining “good” content is not nearly as important as being able to identify effective, newsworthy content. You’re paying for the value associated with the entire campaign, not just a small piece of it, like the creation of the content or promotions, but for the entire package from ideation to reporting and link conversions. One particular campaign we designed, Perceptions of Perfection, touches on body image issues while offering a global relatability factor. Historically, the cost of content has been dictated by the number of words or deliverables associated with each piece. With content marketing, value comes from the content itself and its ability to engage writers and readers. In some cases, this can be done with a single graphic and small body of text. Great content is a catalyst. When imagining the value associated with your content, it’s more important to think about the words that will be written about your content, not how many words you get back as a deliverable. A great example is the Perceptions of Perfection campaign which we just touched on. The total word count was only 706 total and included just four assets, but elicited over 153,000 words in stories across the internet. In general, price should not be determined by word count or any other defined parameter or set of deliverables. It comes down to how the copy and assets of you campaign translate into hundreds of thousands of words written about your content on top publisher websites. These high-authority brands are not only mentioning your campaign, but also leading viewers back to your website through links. So how do you determine how much you should spend on content marketing? This is dependant on the size of your business, content goals, and what you hope to achieve with content marketing. If you’re looking for brand awareness, leads, or authority in your space, different strategies can be formed to optimize these goals and avoid trivial spending. There is an inherent need to have well-defined goals and a clearly thought out strategy to avoid wasted marketing spending. Content marketing has been shown to be a successful part of an outreach plan. If these goals involve high-quality content and a closely followed SEO strategy, you may need to evaluate an in-house option. In marketing, you truly do get what you pay for, so keep quality in mind, always. Constructing the right content marketing team for your brand is an important decision. Once you determine your needs it can be difficult to evaluate what type of team you should put together to reach those goals. Some choose to use one, or a variety of the following options, each with their own benefits. The first option would be to consider hiring in-house talent. In terms of cost, the average salary of a Creative Strategist is $62,079, and the average salary of a Media Relations Manager is $63,486. Investing in marketing experts puts your digital marketing strategies in the hands of people with experience. Freelancers are a lower cost, effective means to cover your marketing needs. They, on the other hand, make an average of $24.04 per hour, totaling an average salary of $39,121. They are lower cost, but they are also independent contractors on their own schedules. If you have a task for them, it is not a guarantee that they can fulfill it. Naturally, as a digital marketing agency ourselves, we have a slightly biased approach to the benefits of using an agency. Regardless, the benefits are clear. Most agencies are well-oiled marketing machines with track records from proven strategies that work. Allowing an agency to take the lead allows you, as a business owner, to focus on the results, not monitoring your content marketing workforce, increasing your ROI. To guarantee great content, we take the “it takes a village” approach to content creation. It starts with a tailored strategy and relies on a team of individuals to conceptualize, build, and distribute each piece of content. Your foundations are key to putting a proper marketing plan in place. This is the phase of the process that involves creatively coming up with options. Keyword and industry research, ideation, vetting campaign ideas, and more highlight this developmental stage. Once you’ve figured out the type of campaign you want to implement, then comes the time to conceptualize the execution of those campaign ideas. During this phase, everything related to content development is fleshed out. Data is collected, analyzed, and visualized. Then, graphics are designed and the copywriting/editorial phase is completed. At this point, the campaign is ready for the promotional stage. List building, networking, outreach, reporting, and more are all characteristics of the distribution phase. Now, content is pitched directly to high-level publishers, and links are gathered. Link building and content promotion are what drives traffic back to your website, creating results for your brand. The costs associated with creating content are not as cut-and-dry as they were in the past. Cost-per-word is an antiquated way of thinking about your content. And as we’ve seen, associated costs can vary depending on the team you put in place, and the goals you have in mind. Ultimately, a smart strategy, with proven results, can increase the ROI of your content. Executives and marketers, reach out to us today to talk strategy or cost for your brand!